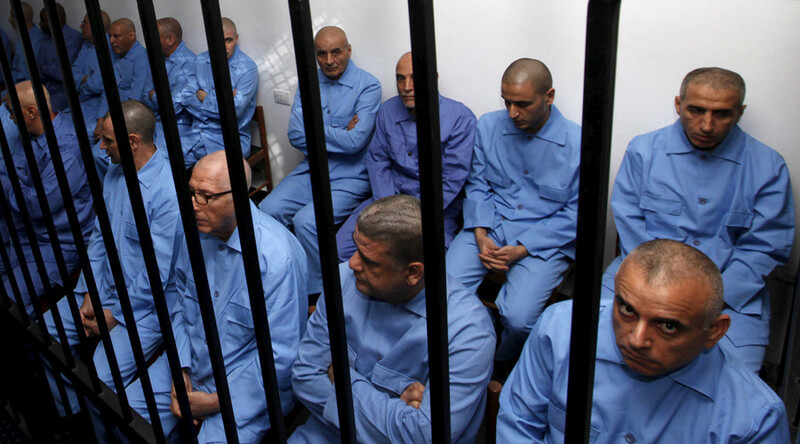 Since the start of the trial of former Gaddafi officials, Amnesty International has expressed serious concerns about flaws and violations of due process rights, noting that the defendants were deprived an opportunity to challenge evidence against them, says Magdalena Mughrabi, Libya Researcher from Amnesty International. 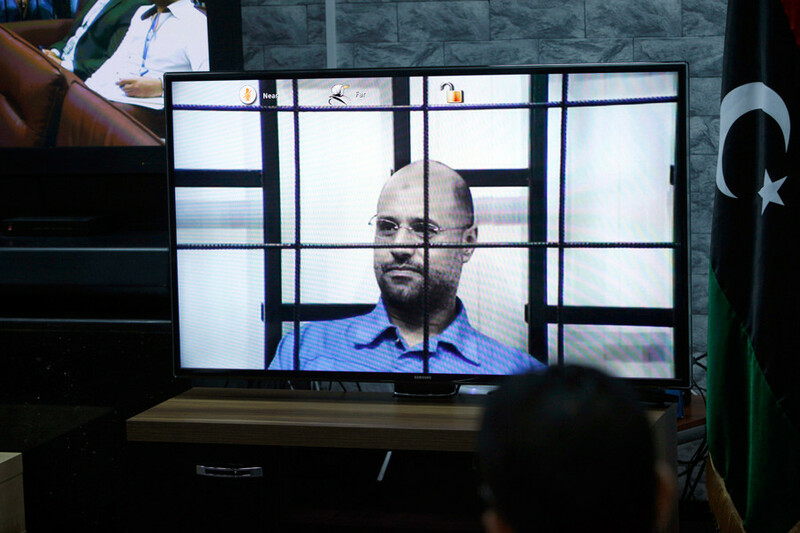 On Tuesday, nine top officials from the vanquished Libyan government, including Saif al-Islam Gaddafi - one of the sons of the country's deposed leader – were sentenced to death by a militia-controlled court in Tripoli. The trial has been severely criticized by international human rights observers. RT: Critics say the trial was illegitimate by the fact that it was run by militia amid lawlessness and unrest. Do you agree? Magdalena Mughrabi: Certainly Amnesty International is very much disturbed by [Tuesday’s] convictions, especially the nine death sentences against Saif al-Islam Gaddafi, but also Abdullah Senussi, the former head of military intelligence, and former Prime Minister Al-Baghdadi al-Mahmudi. Since the start of the trial we’ve had serious concerns about flaws and violations of due process rights, including access to lawyers to enable the defendants to prepare an adequate defense. Many of those nine defendants that were sentenced to death reported being interrogated without their lawyers present. Some of them raised allegations of ill-treatment which do not appear to have been duly investigated, and chiefly also the prosecution’s case and evidence was largely built on around 2014 statements from witnesses, none of which were called into court, therefore, the defendants didn’t have an opportunity to challenge the evidence against them. Of course [Tuesday’s] convictions can be reviewed by the Supreme Court. RT: Will the Supreme Court abide by the rules? MM: We will have to remain and see. It’s true that in Libya we have and we’ve had concerns since the start of the transition about the state of the criminal justice system in Libya, which is very much effected by the conflict and the renewed violence that started a year ago by a cycle of impunity, where forces on all sides continued to perpetrate serious human rights violations and abuses and renewed war crimes, if you will. It remains to be seen, but from our side we are calling of course for an independent review of [Tuesday’s] verdict. RT: Are we going to see any sort of international reaction to the verdict? MM: I can’t really answer this question. I can tell you that from our perspective this trial raises serious concerns and we’ve documented a number of flaws and violations of due process rights. So it’s in a sense a missed opportunity to deliver justice. There is compelling evidence that war crimes were committed during the 2011 conflict, but justice can only be served adequately if it is delivered through fair trials, through independent and impartial tribunals. This is very much our position here. Libyans are facing a real catastrophic humanitarian situation, Mustafa Elzaidi, ex Libyan minister of health and currently the committee coordinator at the Libyan People’s National Movement, told RT. RT: How lawful therefore is the court's decision, taking into account Libya's uncontrolled legal system? Mustafa Elzaidi: Yesterday’s trial in Libya is a catastrophe, it’s a joke. The court in Tripoli doesn’t differ very much from the Islamic State courts in Derna or in Sirte because Tripoli is controlled by an Islamic fundamental terrorist group, which is called the al-Jama'a al-Islamiyyah al-Muqatilah, the Libyan branch of Al-Qaeda, so you can see the trial has no justification. For example, Saif al-Islam Gaddafi was sentenced in absentia, although he is in prison in Zintan. This gives you an impression of what the situation in Libya is. Libya is a disintegrated country; every city has its own rules. Tripoli is controlled by this Islamic fundamentalist group. They could not bring a prisoner who is in Zintan to the court in Tripoli and they make this sort of sentence… it is a political trial and I call upon the international community to look at the Libyan situation. The Libyans are facing a real catastrophic humanitarian situation and this trial [on Tuesday] is part of it. RT: Do you think Saif's sentence is based solely on the war crime charges, or might there be other reasons to seek his execution? ME: It’s not only people linked to the former regime or not, it is against all Libyan people. You know the assassination of Libyan people is going every day, the Daesh court in Sirte has assassinated 21 Egyptian people, in Derna everyday people are assassinated… So what’s happening is a crackdown on the Libyan people. The representatives of the Libyan government in the UN, Mr. Ibrahim Dabbashi, announced last month that one third of the Libyan population is in exile. [On Tuesday] the legitimate Libyan parliament announced that this court doesn’t represent any legal authority in Libya because Tripoli is under the control of militias, which is out of control of the official legitimate Libyan government. RT: Do you think the international community, especially the countries which took part in the bombing campaign against Libya, should do more to help restore the country? ME: The situation in Libya is really difficult; nobody can live [there]. Tripoli, for the last two years they doesn’t have electricity, fuel; there is no medical service, it’s completely cracked up. There is no education, no salaries, people could not live in Libya, that’s why they go out and it’s difficult without the elimination of this criminal, radical terrorist group from controlling important cities… In the Libyan national movement we call upon a real political solution for the Libyan case by the participation of the Libyans and I think the international community has the moral, political responsibility for what is happening in Libya.